To paraphrase from an book I was reading this morning, stress is not the situation. Stress is our response to the situation. The situation this morning is lack of sleep. It’s been days since the last time I really slept, which brings me to another resolution. I have been suffering from insomnia since 2003 and it has taken a serious toll on many aspects of my life, my immune system included. I don’t use the expression “suffering from” lightly but in this case it is all too appropriate. Today I am attempting to focus on remembering that the stress I feel from fatigue is my reaction to the situation of being under-slept. Is it possible to embace foogy headed, baggie eyed, bone-deep fatigue? That is, embrace it while still accomplishing a few things rather than curling up with Grey’s? I am not sure but I am going to give it my best effort. Last day of 2010. When I look back over the last year one of the first things to jump out at me is this blog. I started reading healthy living blogs around this time last year and before long the seed was planted that I would like to start my own blog. My life was so scattered at that point, we’d been living in Peru for nearly a year and were getting ready to begin a six month around the world backpacking adventure. I had a deep desire to get back to teaching movement classes and to connect with others interested in all the details that create a healthy life-style. After months of toying with the idea of starting a blog I took the plunge in the end of May. Blogging has been one of the most rewarding projects I’ve ever undertook and a HUGE part of that is the connections I have made with YOU. Thank you. My last day of 2010 started a little rough (WHAT!?! No sleep again!?!) but got better with every bite of this bowl o’ good. The rest of the day WILL be awesome. It is sunny and getting warmer every minute, I plan to get outside and walk at least 4 miles. I had hoped to feel up to a run today but no, so a nice long walk will suffice. Yoga is also on the agenda, and maybe Pilates. What is it going to be for your last workout of 2010? Comment commit! Happy, happy, happy New Year’s Eve and I’ll see you next year! Tate and I headed out at the crack of 9am to meet with 2 tax offices, yuck! We did get some of our questions answered (does your business file if it hasn’t actually made money yet? Can an individual and an LLC file separately if they are really the same person?) and I saw this awesome cab. It was just the kick in the pants I needed today! In honor of “procrastinate-later-stay-healthy-and-get-down-to-business” day, I made sure to fuel my body throughout the day with nourishing food. 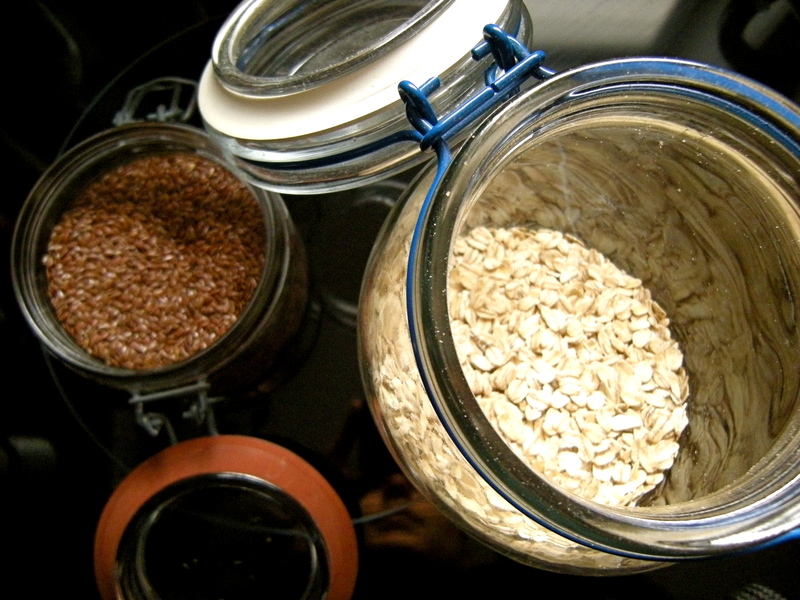 Oats and flax for breakfast. 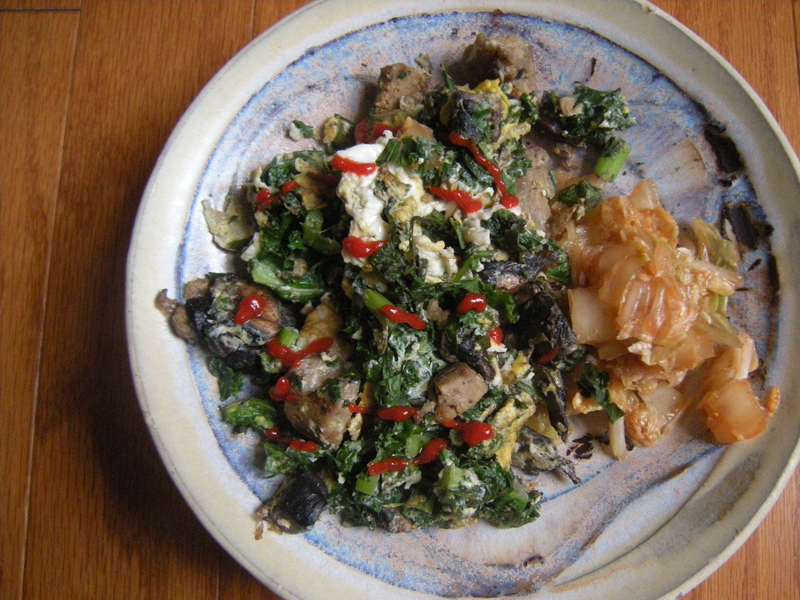 Homemade kimchi and a portabella-kale scramble for lunch (oh-so-good). Snack time! 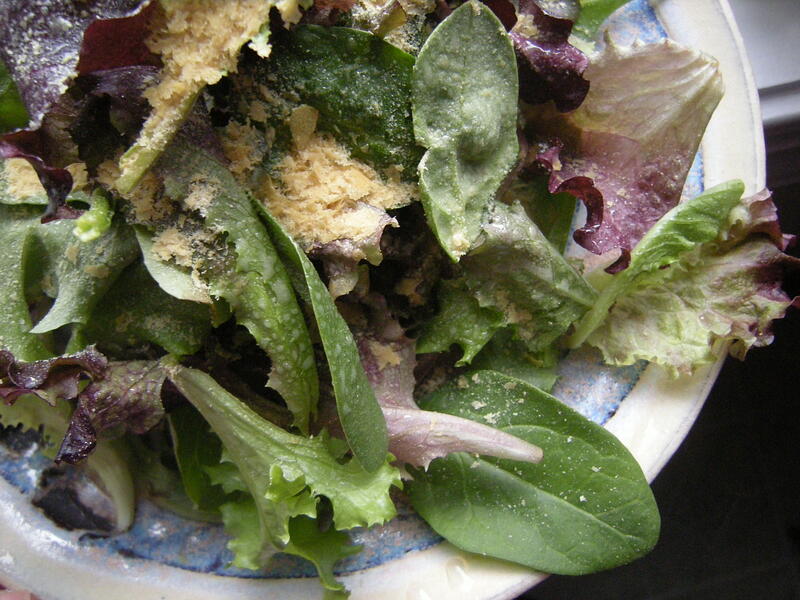 Greens sprayed with olive oil and sprinkled with nutritional yeast. I also tackled a massive to-do list and only have 3 items that are being carried over until tomorrow. Today’s workout was awesome! I did 40 minutes of strength training with a combination of workout dvd’s and 10 minutes of yoga. Each segment was no more than 12 minutes long and it made the whole thing fly by and keep me interested. It’s not that I am usually disinterested, but sometimes when I have a long to-do list looming my workouts are cut short. Tate and I also walked about 2 miles while running our errands this morning. I broke down today and took a Tylenol. My body has decided not to fully succumb to the funk that was trying to overtake it but the headache and body ache is lingering. The Tylenol definitely helped get me through the day without falling into bed with Grey’s. One more day of 2010! Here are a few resolutions that keep rolling around in my head. Become a better deep cleaner. I am relatively clean and neat but I rarely dust or do any kind of deep cleaning. But I am ready to start. Deep cleaning really is one of those things that is easier if you do it more often. Continue to develop techniques and methods to deal with stress. I am predisposed to stress. Maybe we all are. In any case, I don’t always handle it with grace. I am getting better at identifying what causes me stress and what helps reduce or eliminate it but this is an on-going process. In 2011 I will continue to improve how I manage stress in my life. Seriously, passive-aggressive behavior is the worst! It rarely, or never, helps a situation. It never helps how I feel about a situation. It’s plain annoying and immature. I have been becoming more aware of this behavior in myself and I don’t like it. So I am going to stop (at least drastically reduce) doing it. 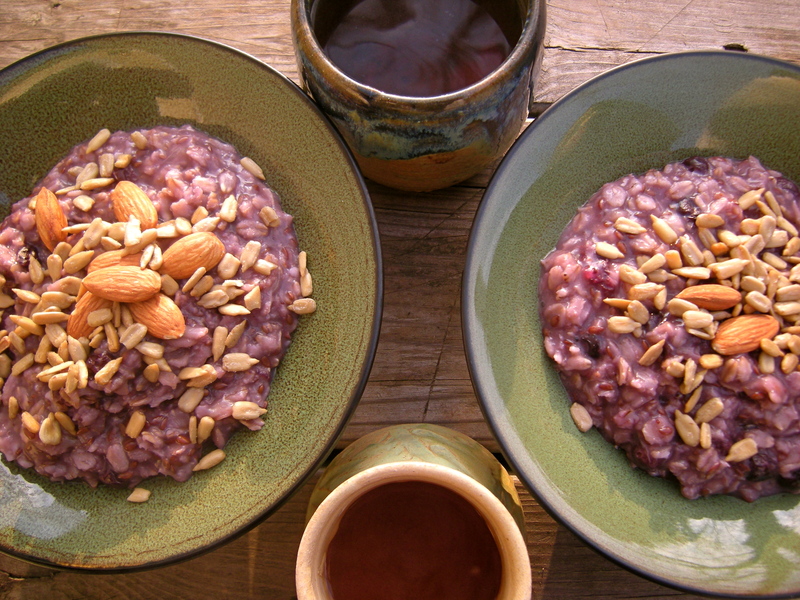 Continue to practice intuitive eating. I have lost 7 pounds this year. Many factors contribute to this weight loss but one of the main reasons I have maintained this loss since August is my improved relationship with my appetite. I eat slower these days. I don’t always finish what’s on my plate. I put my fork down between most bites. I take more internal cues about food than external ones. I look forward to continuing down this path for 2011. Do you make resolutions? I haven’t made one in years and this is the first year that I’ve set intentions rather than concrete goals. This quote sums up my approach to this years “resolutions”.